Glorious sky that lasted for about 3 minutes at sunrise before it turning into a gray and drizzly day in Death Valley. Awesome color palette and textures. 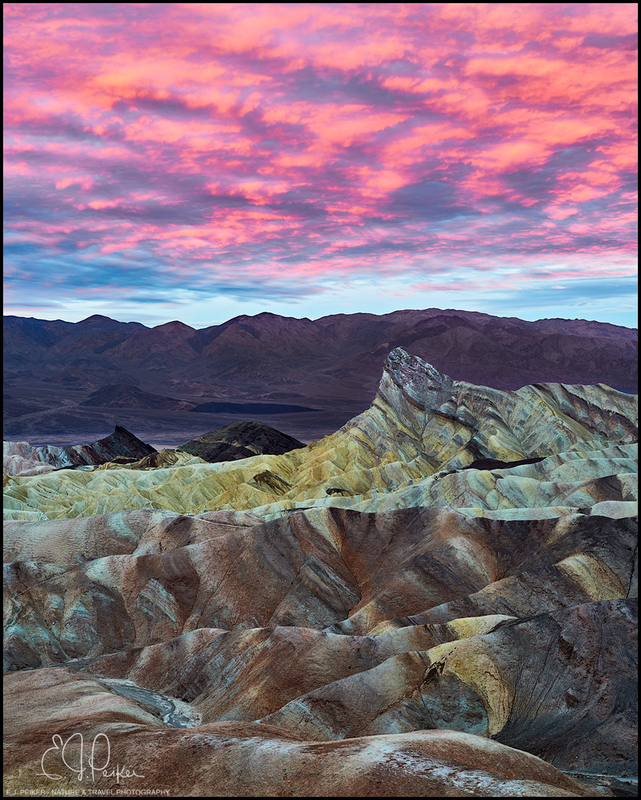 That's what Death Valley is all about, colors of the rocks. Great image! Wonderful light, color, and detail. So many contrasting colors! amazing sunrise!